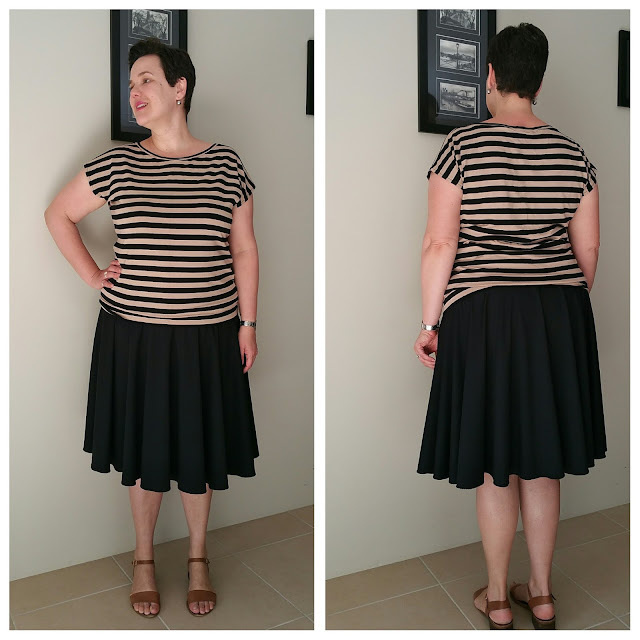 I've been wanting to make a knit Megan Nielsen's Veronika Skirt since I tried on @_busylizzie's about 18 months ago...and this week it finally happened. Going by their measurements the Megan Nielsen patterns are WAY too small for me (by about 12cm in the waist for this pattern) but the knit version of this skirt fits so I'm glad to try Liz's before I went through the effort of sewing my own....or more to the point, ignoring the pattern completely! 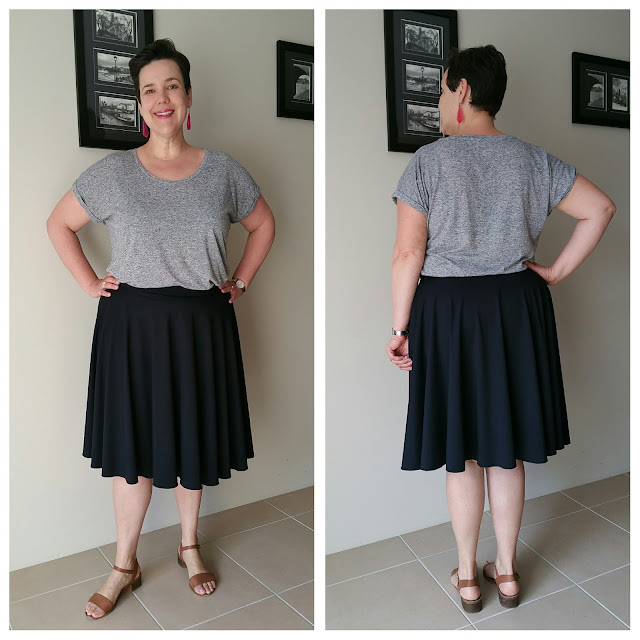 I wasn't sure what to pair this skirt with so have tried it on with a tucked-in Maria Denmark Kimono Tee and (in an unusual sartorial move for me) a tucked in tee. 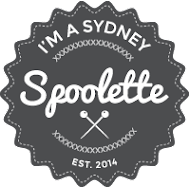 I think it looks good with both tops but I do find the untucked top more comfortable and more..."me". 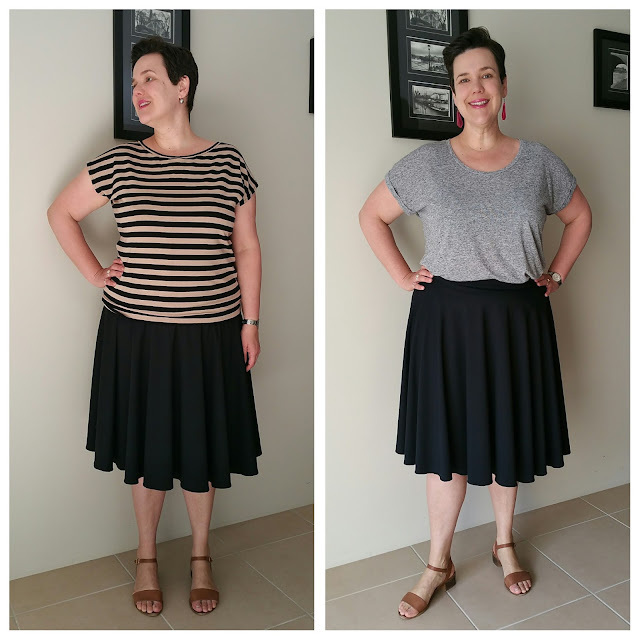 This was an incredibly easy sew - just two pattern pieces: the waistband and the skirt piece (which is the same piece for the front and the back). It's a full circle skirt so there is a lot of fabric here and my fabric (a "supplex lycra" from My Hung) is not quite a drapey as I feel it should be for the volume of fabric in this skirt. That said, the fabric was very easy to sew with and although the fabric tag said "no ironing" I gave it a light press when sewing to get rid of bumpy overlocked seams. The waistband casing is sewn on first and the elastic threaded through a gap and the sewn into a loop. As always I dithered about with how tight to make the elastic as I find there's a VERY fine line between too tight and too loose. I think I got it pretty much "just right'...though I have to confess this anxiety about the waistband is one of the reasons I put off sewing this skirt for SO LONG! 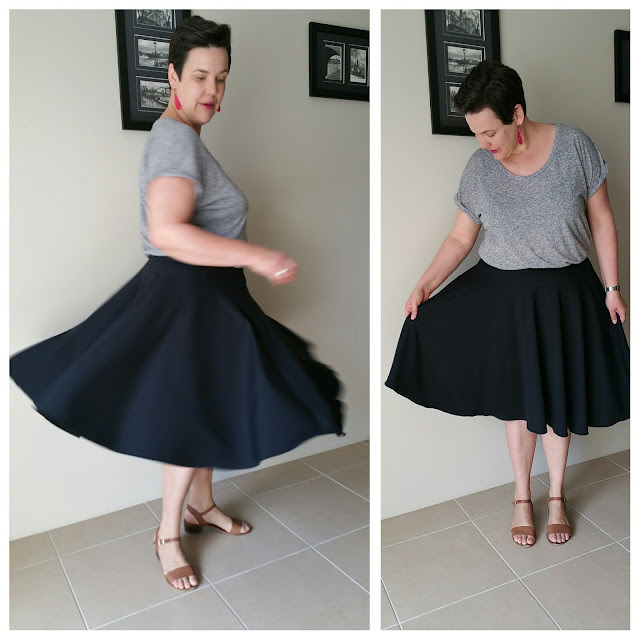 The skirt is good for twirling!